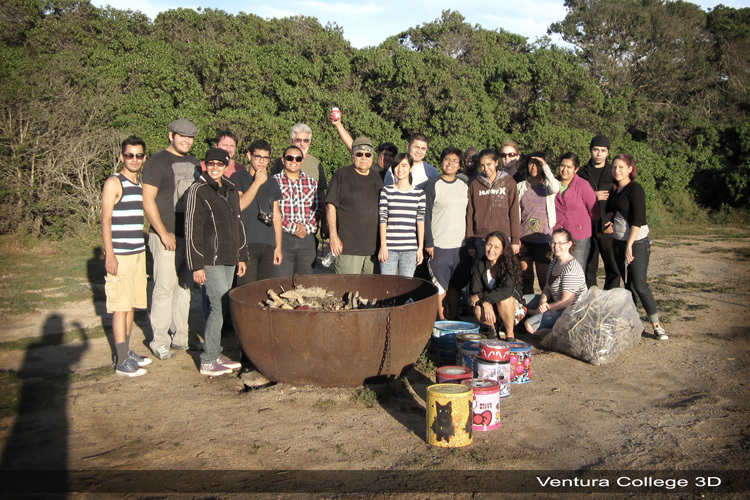 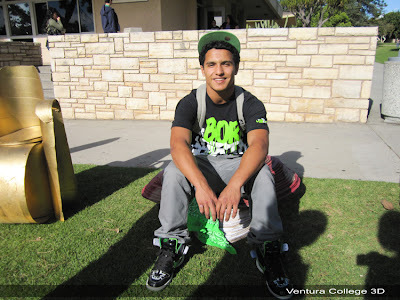 Thank you for supporting the students of Ventura College - it is greatly appreciated. 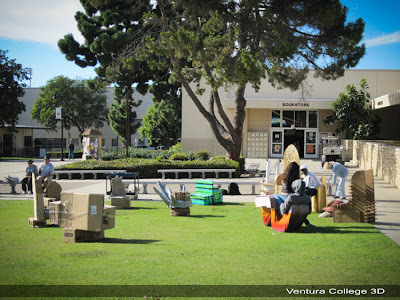 The Ventura College Students Art Sale is Here. Students offering functional ceramics, sculptures, prints, paintings and more for your holiday gift shopping. The Beginning Sculpture class enjoyed a wonderful exhibition in the quad on Monday, Nov. 8. 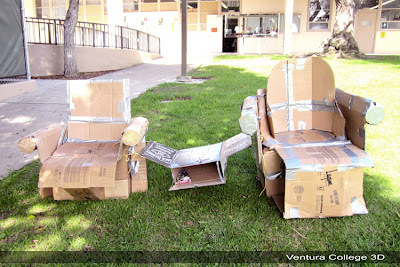 On display were their chairs constructed from cardboard. 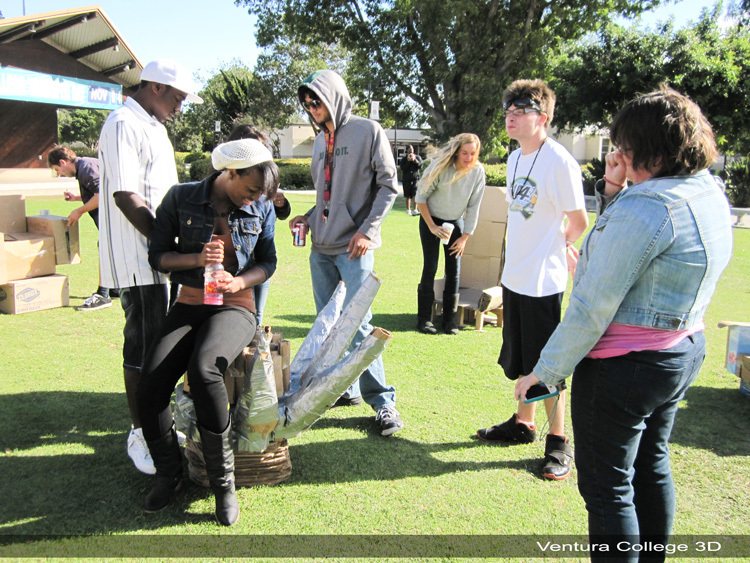 Faculty and student body alike stopped by to check it out. 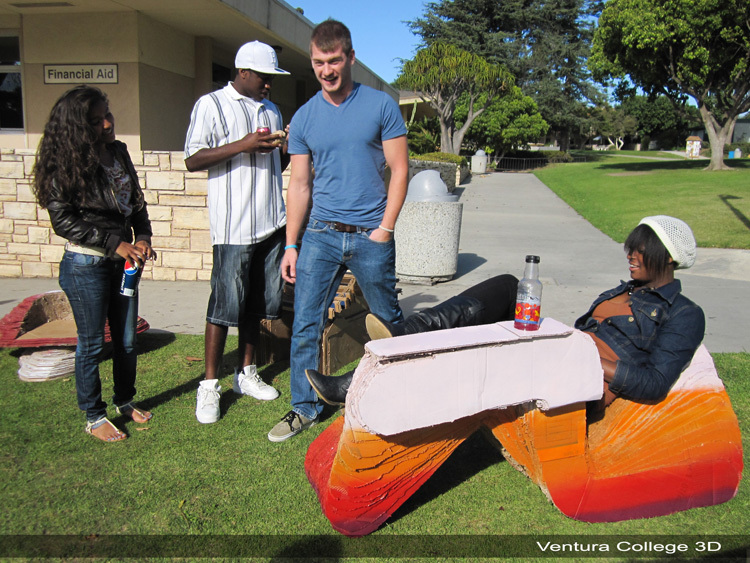 They were invited to speak with the students about their work as well as test the structural integrity of the sculptures by sitting on them. 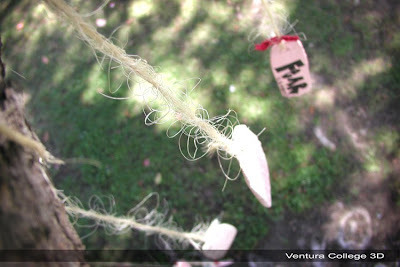 It was a wonderful first exhibition experience for the students. 643 N. Ventura Av. Ventura, Ca. 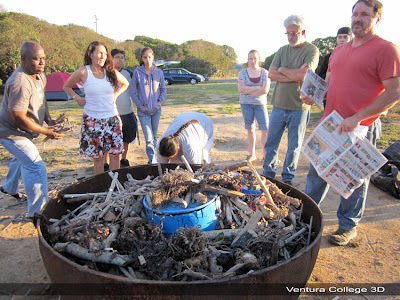 Using driftwood and seaweed to fire pots. Coordinated with the East LA College Ceramics Dept and instructor Chris Turk. 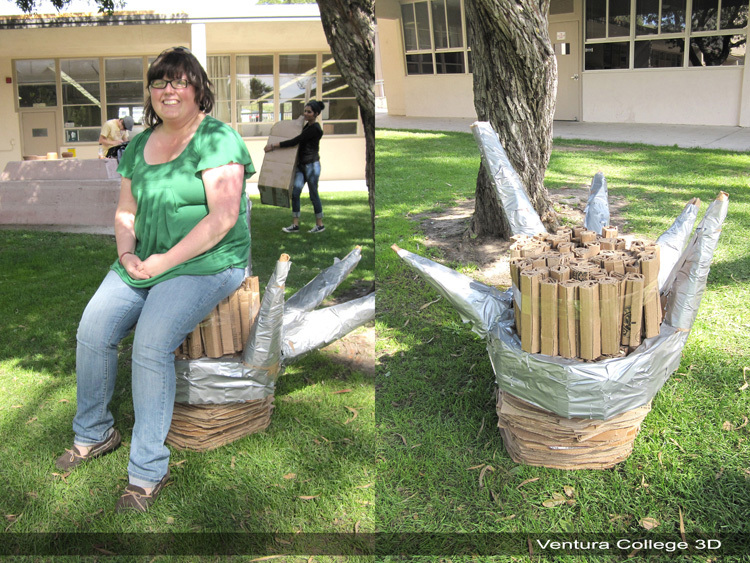 Thanks to my VC ceramic students who came out to brave the weather and experience something new. 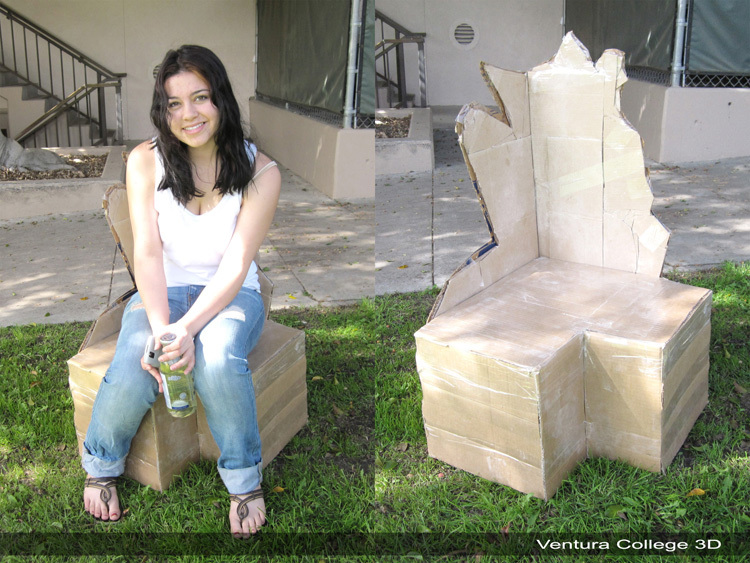 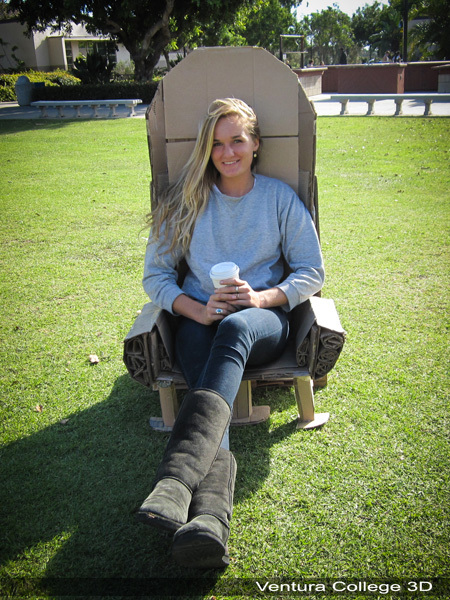 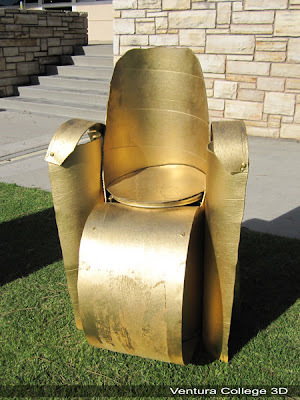 This Beginning Sculpture class project was to construct chairs with some sort of historical reference/influence out of cardboard. 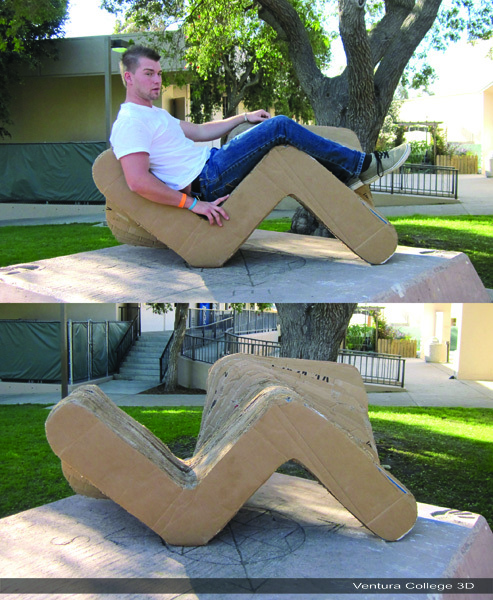 The chair would need to support the artist's weight when completed. 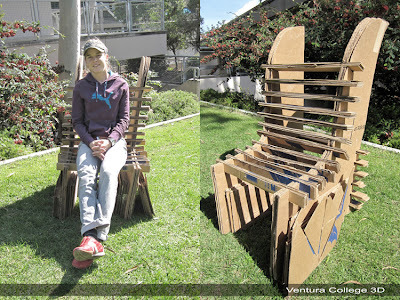 Great results on a challenging assignment. 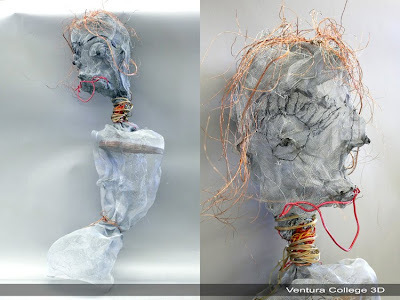 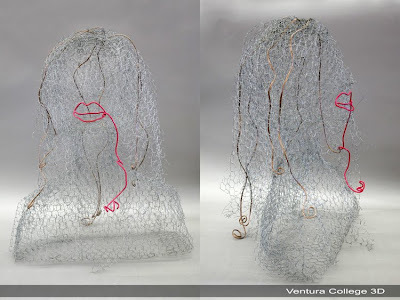 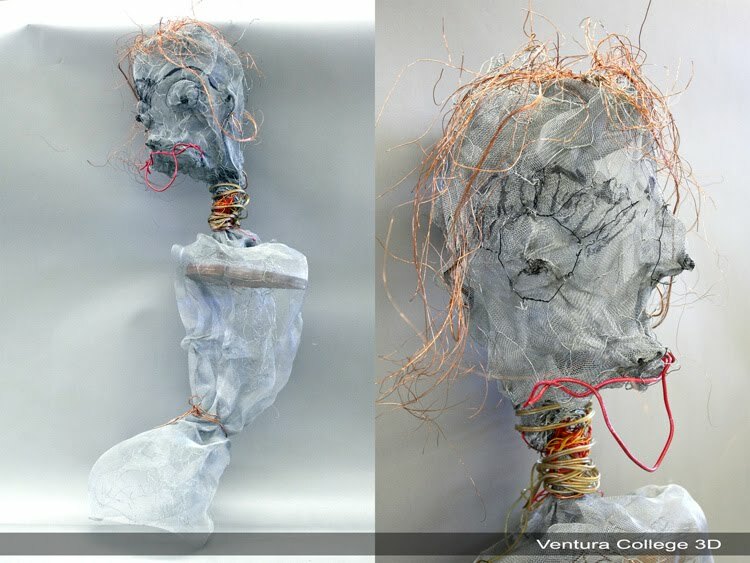 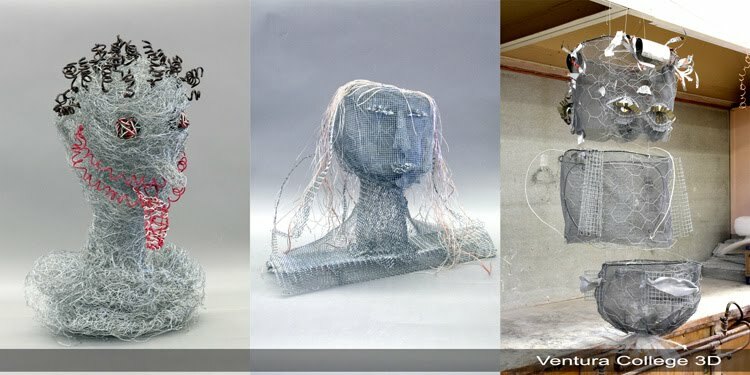 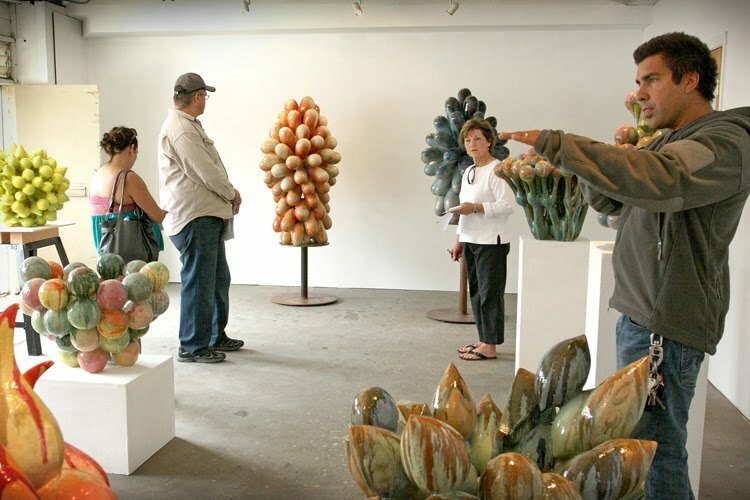 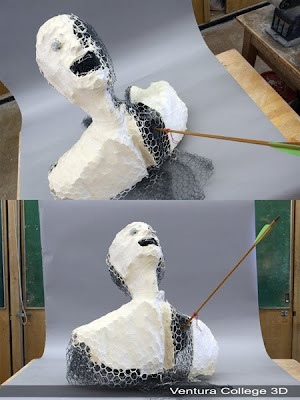 The Ventura County Star newspaper recently paid a visit to our sculpture class to feature Daniela Sandelin of Finland in an article on international students. 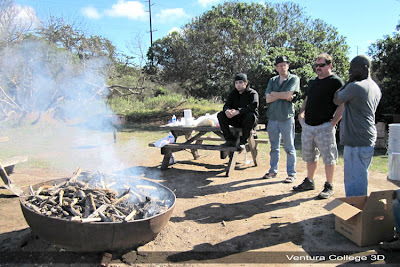 The article and photos can be found here. 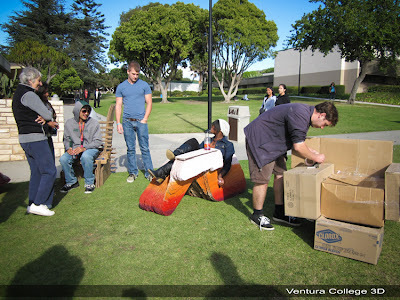 Following are several photos from the One Book One Campus opening night reception held on the Ventura College campus October 7, 2010. The installation, "Baked Potatoes," was a collaborative project produced by the VC ceramic students. 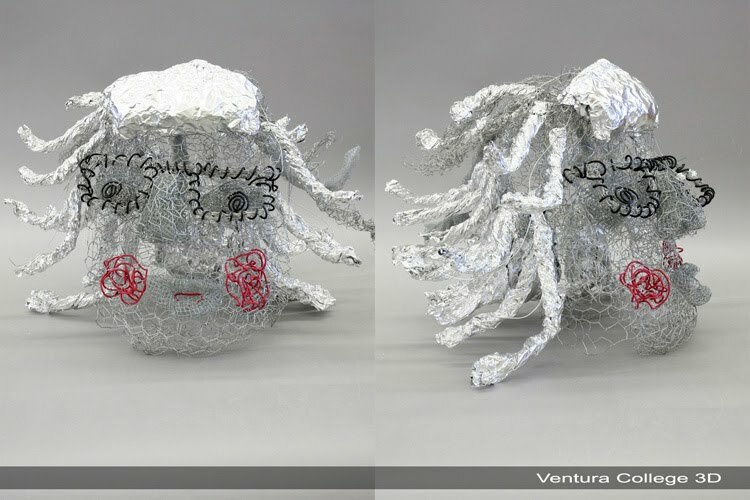 The book and show addresses how a mono-culture affects our daily life. 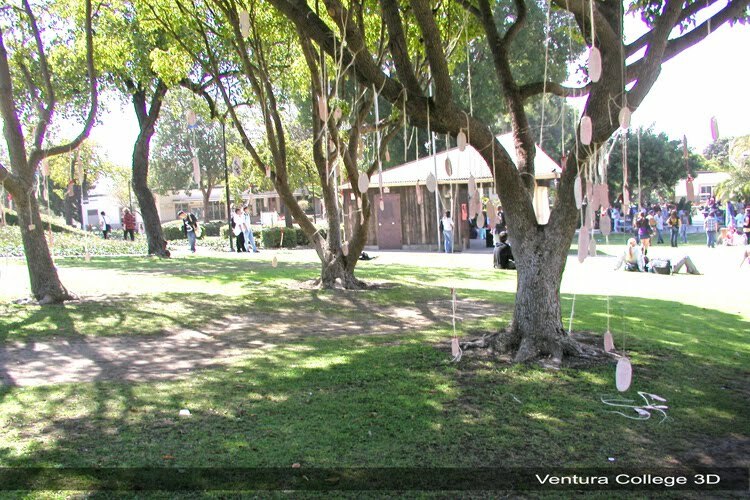 The students symbolized this by creating an installation of the ubiquitous potato - how the same strain of potato can be found in foods across the world. 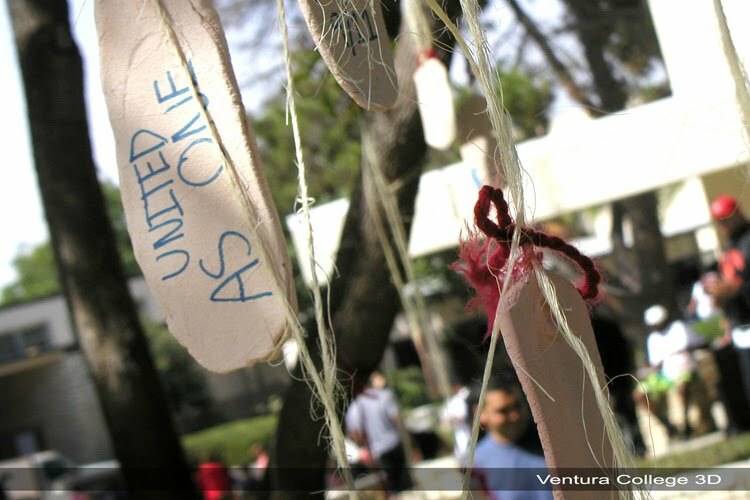 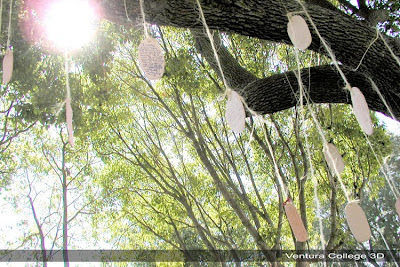 The 9/11 Remembrance was an outdoor installation on the Ventura College campus. 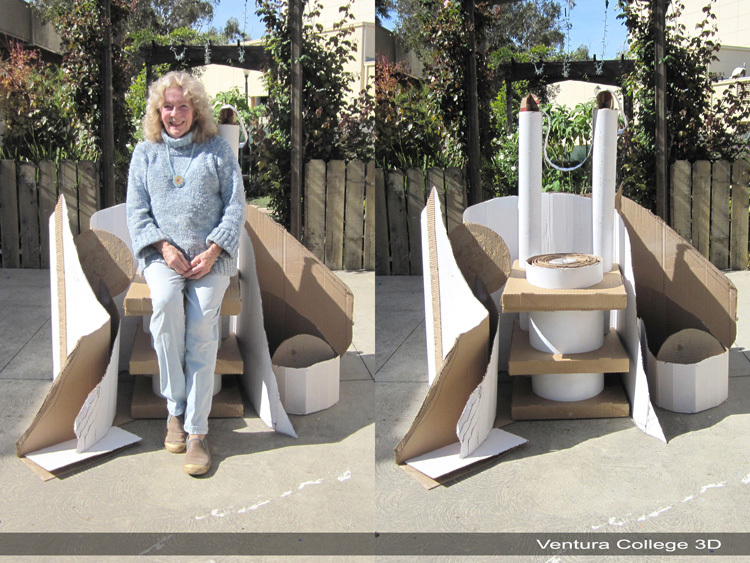 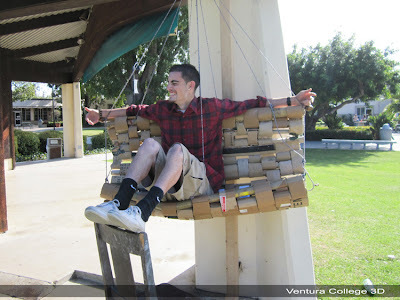 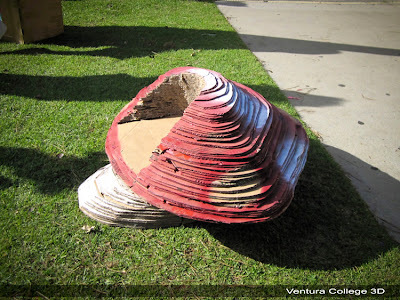 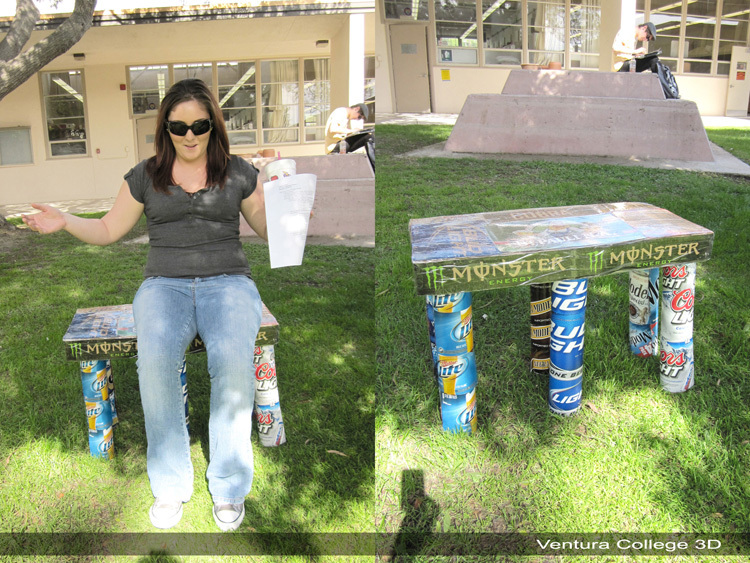 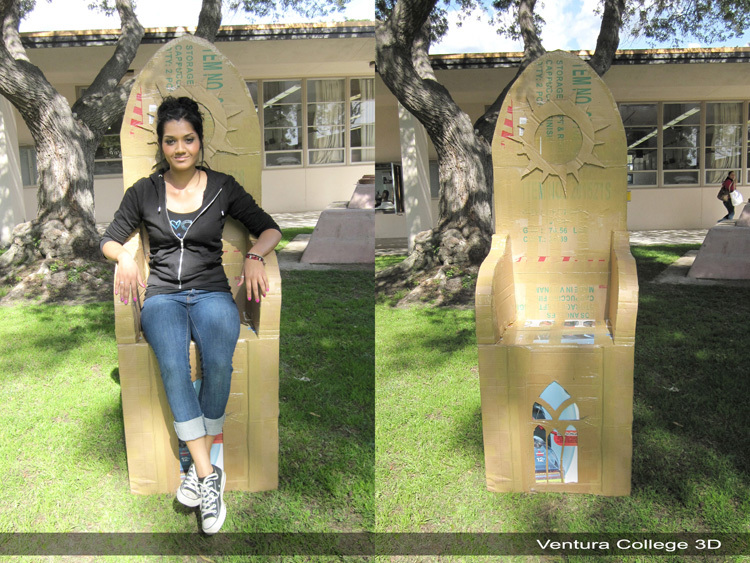 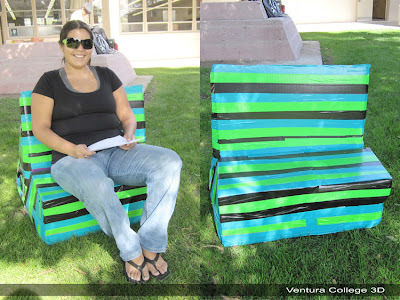 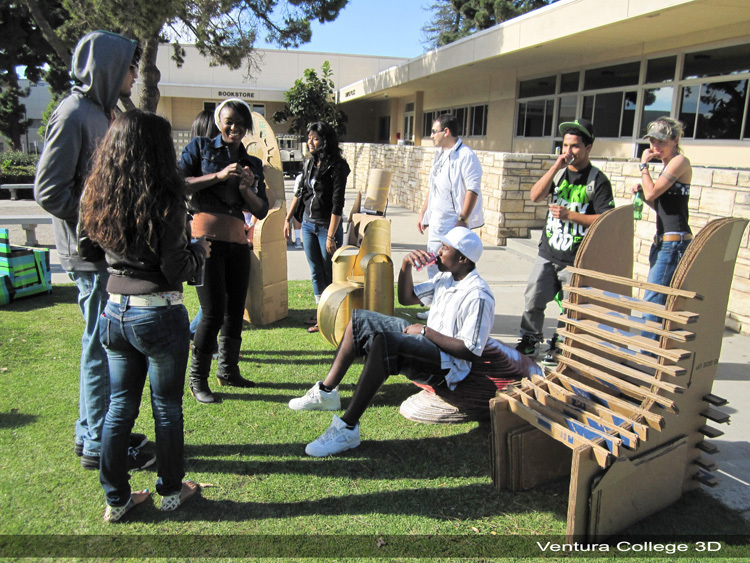 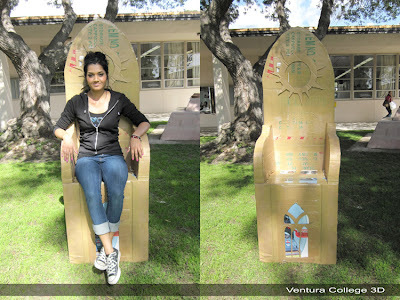 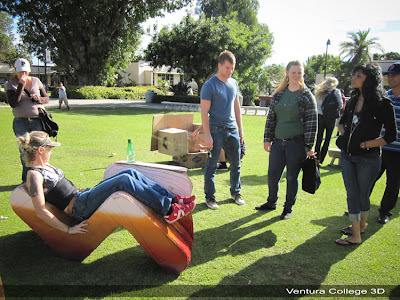 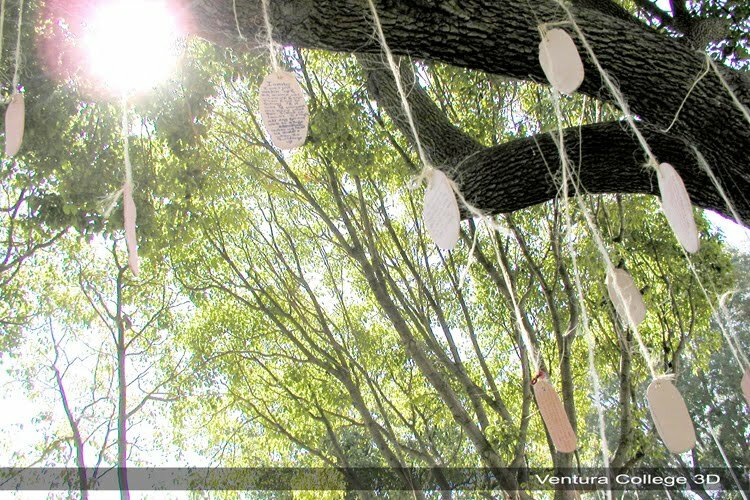 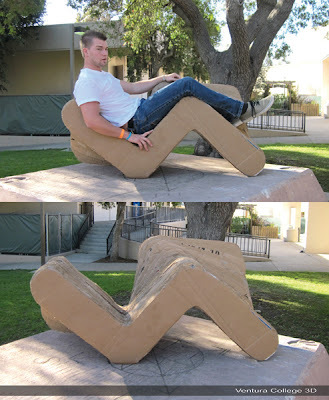 This public installation was designed to bring the Ventura College student body together - to create a shared experience between the various disciplines of study. 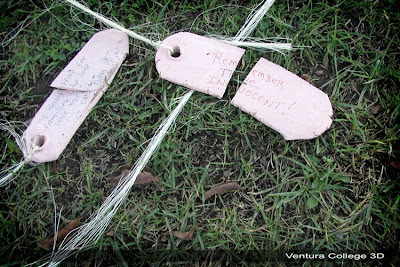 Participants were asked to write their thoughts on clay tiles provided by the 3D department. 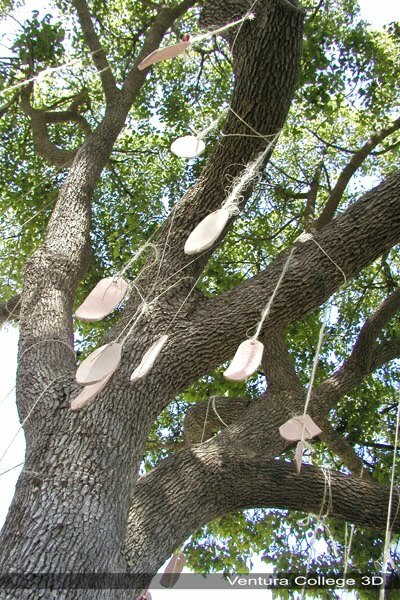 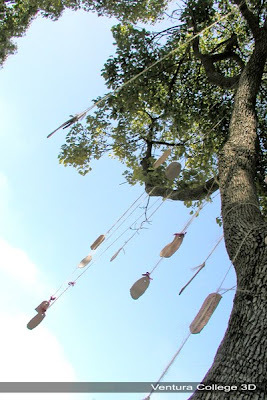 The tiles were then hung from trees. Shared thoughts - some sorrowful, some patriotic, others angry - were on view for anyone who cared to stop and read. 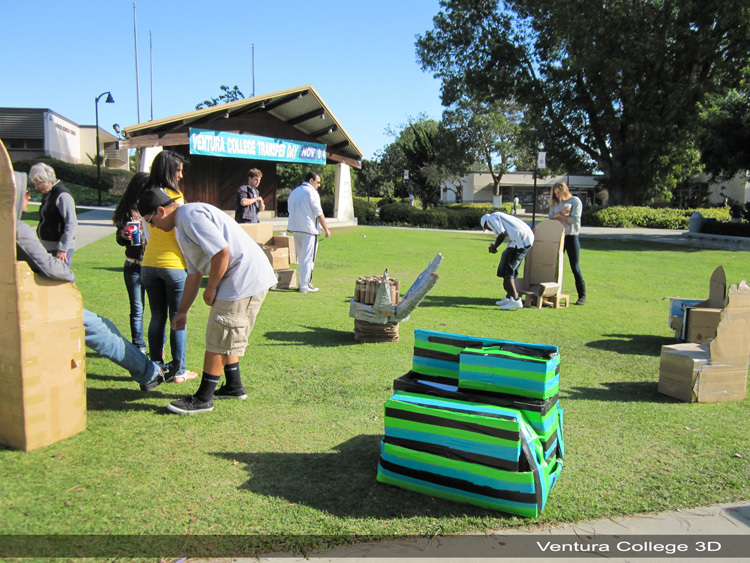 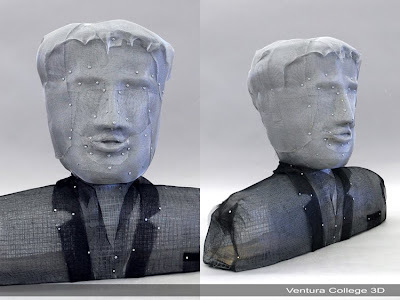 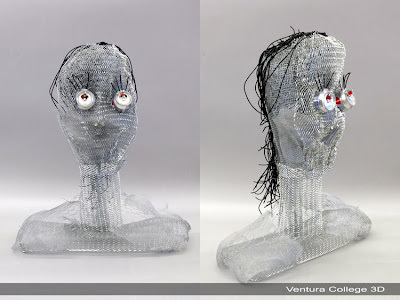 The installation was a team effort between Ventura College 3D and the ASVC and was timed to coincide with a similar event being held at Oxnard College. 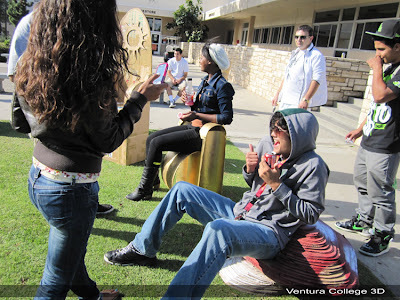 Several of my students joined me at Ventura gallery 643 Project Space last Friday. Gallery owner Matt Furmanski kindly stepped in to give us some insight into artist David Kiddie's wonderful work. 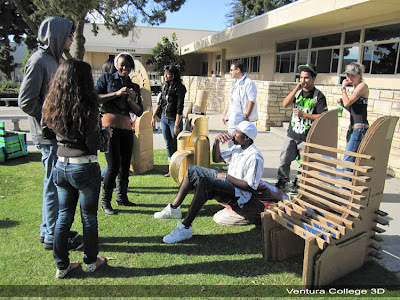 It was a fun and informative visit. 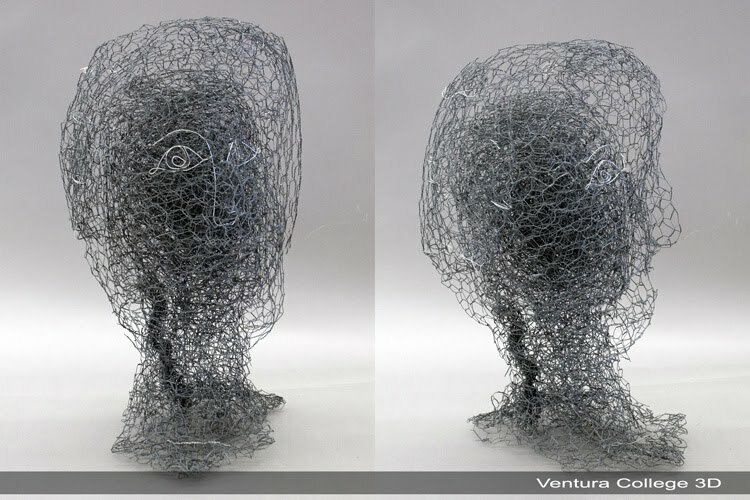 643 A Project Space is pleased to exhibit work by artist Stanton Hunter. Hunter is repeatedly drawn to site-specific installation work. 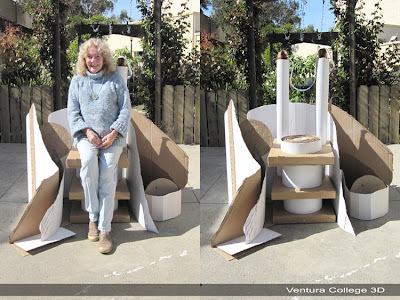 "I like to approach a space not knowing what I'm going to make or what materials I'll use. One strategy I explore is to look for something in the environment that is mundane or overlooked and find ways to frame it, or point to it. 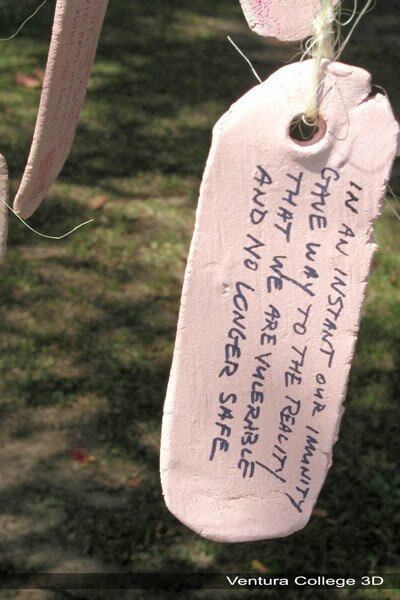 In this way the ordinary can be exposed as extraordinary."